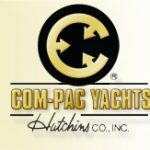 Snug Harbor Boats & Co. is the regional dealer for Marlow-Hunter Marine, Com-Pac, and Precision Boat Works sailboats, Tohatsu Outboards and Yanmar Diesel. We are also a boat broker offering a large selection of brokerage boats ranging in age from like-new to antique. The majority are here on Lake Lanier at local marinas, 3-8 miles away. Others are in nearby states, like South Carolina and Alabama. 40% of our brokerage boats are shipped to points in the US and Canada and several have found new homes in Hong Kong, South Korea and Russia. The brokers at Snug Harbor can assist in finding the perfect boat for you – one which will best meet your needs. We can also help with the tangled web of financing, transport, repair, rigging, and boat parts. If we do not know something, we know someone who does.